I'm having fun posting my makeup pictures. So I'm going to keep doing it! I was talking about how I never do enough looks with blue and then I remembered I did this one last year and I really liked it even though I felt like it was a little too dark on my lid. 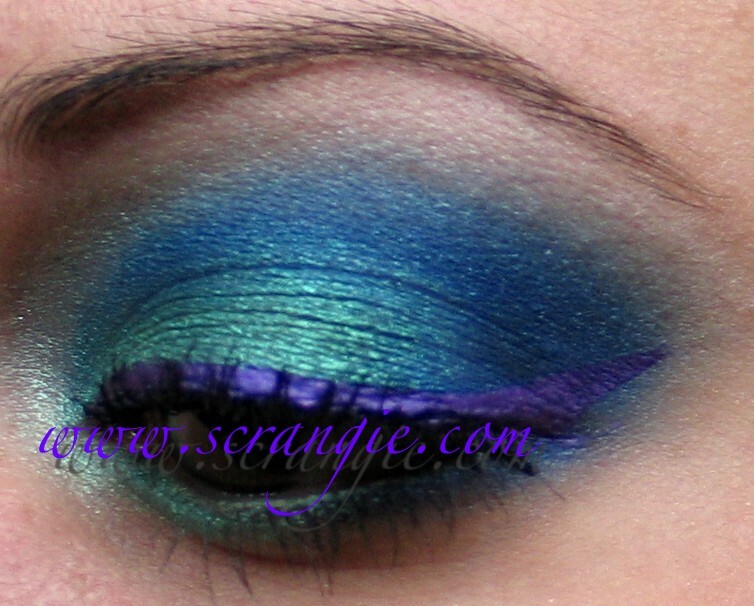 I usually only do dark colors in the crease and lighter colors on the lid so it doesn't darken my eyes even more. I'm trying to remember what all I used for this. It looks a lot lighter and less saturated in these pictures. I think this was before I started taping a napkin over my flash, haha! I'm pretty sure I used Primer Potion or Shadow Insurance.. I wish I could remember for sure... I'm going to have to re-create this one! And wow, I looked a lot less red-faced and much paler in November. This is so damn pretty. Like a mermaid. I so wish I could do makeup like you! WOW!! I love the sparkle! Gorgeous!! I wish I could get away with bright colors like that. Gorgeous! 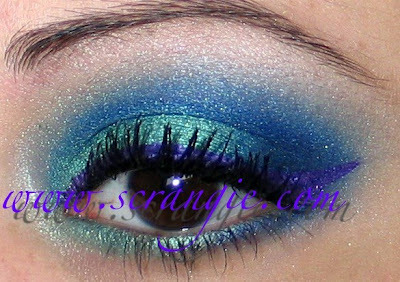 See everyone, blue eyeshadow can work with brown eyes. It all depends on the shades and the artistry! Excellent job as always, and makeup looks are welcome...we love whatever you post! 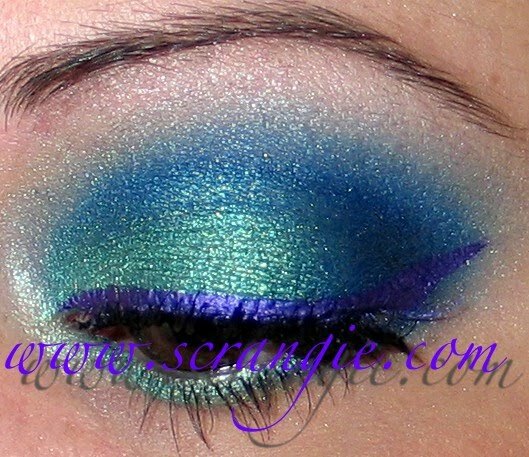 I love your MU looks they give me ideas! "It reminds me of Charla, but on eyes!" Beautiful eye look. Now how do you sit without crushing your mermaid tail?